Aarona was born in LA and brewed in NYC, and movement, holistic health, and the arts have been at the forefront of Aarona's healing journey. Inspired by 21 years of yoga study, 13 years as a yoga teacher and wellness adviser, a BFA in photography and mixed media arts, and a love of writing and world travel, she's deeply inspired to share her growth and tools with others. 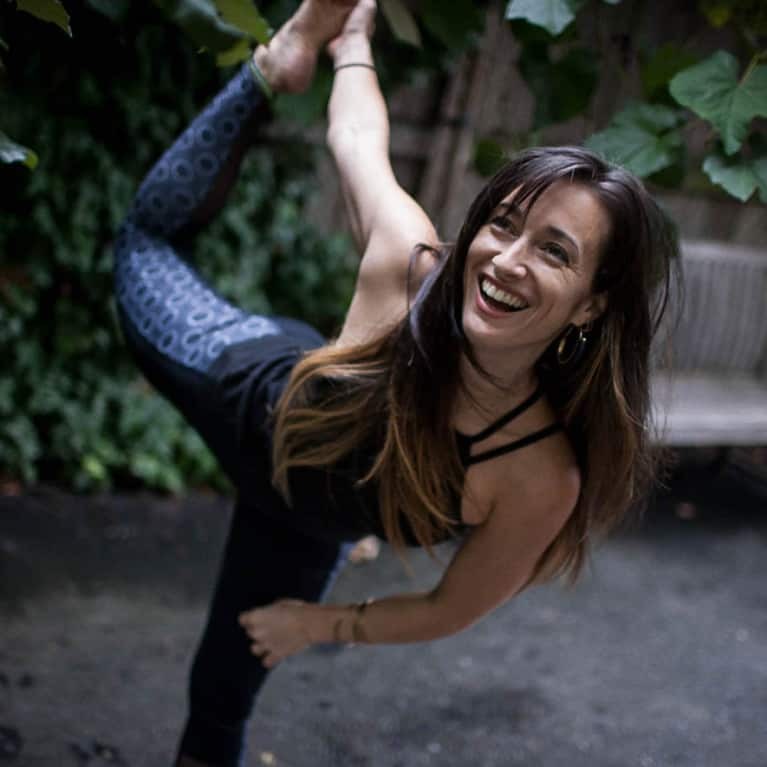 Her yoga classes and her coaching work balances vigor with ease, inviting you to uncover your strengths, build awareness, restore your spirit, and enliven the wisdom of your senses. Aarona is the author and co-creator of The Moon Deck, teaches yoga classes and retreats globally, leads empowering women's workshops, mentors new yoga teachers, offers private coaching, and created the music modules for the Kula Yoga and Wanderlust teacher training programs. Aarona has been featured in the Free People BLDG25 Blog, New York Times, Self magazine, National Geographic Traveler UK, Teach.Yoga, the Weather Channel, Wall Street Journal, Fréttblaðið of Iceland, Times of India, Origin magazine, the Body Book Blog, the Numinous, the cover of FitYoga, NBC, Elephant Journal, Yoga Journal, AlignYo, Well Good NYC, and Co-Creator Radio. She'd love to offer mindbodygreen readers a discount on the Moon Deck. Simply type in GREENMOON at checkout to receive 15 percent off!